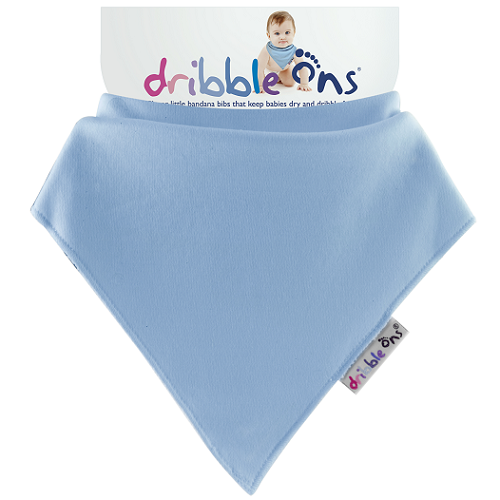 Dribble Ons are clever little bandana bibs that keep babies dry and dribble free! Made from a soft combination of stretch cotton and terry towelling backing, they absorb moisture, whilst at the same time being cute and comfortable to wear. Dribble Ons have adjustable poppers at the back making for a more comfortable wear. Pack contains 1 x Dribble On Bib (Baby Blue). Two stud fastenings at back for size adjustment as needed.